Well done Sounds Air! How about a wanaka service? Alot more fuel burn for little load increase. The PC12 is a very advanced machine, like a laser guided rocket ship. Can't help but think this really looks the goods - as opposed to what another company was talking up trying to get into a Kaitaia service. The whole point of using the PC12 is that Sounds Air has been proving over the past couple of decades that single turb-prop engine and single pilot scheduled operations work, are safe (thanks to single engine IFR for turbo-props) and are financially viable. You only have to see how well the company is doing, to know they are onto a winning formula. Being a turbo-prop twin, a King Air would not follow their model - but the PC12 is not too big a step away from their cessna caravans. I wish them well and it is certainly the right size machine for the job at hand. However, and it is a big however the PC12 has a capital value approximately 3 times that of a C208. The PC12 is going to be on the ground at Westport (not including Monday and Friday) for 7 odd hours? To get a return on the capital cost the machine is going to have to do a lot more work than that! Not a lot of charter work at Westport! The ticket price is the same as the B1900 but with no discount options, I thought the council was complaining that the Air NZ price was already too high! Is the operation going to have no landing fees at the council controlled airport? If another operator want to compete will they get the same no fees deal? What about the terminal charges is that the same "no cost" deal. As a long term customer, from what I understand, Sounds Air structures its fares to cover the cost of operation - Pilot+Operating costs (including aircraft repayments etc), based on a % load factor. The price is a fair price for the customer and the airline. The price also happens to be the same as the AVERAGE B1900 fare which wasn't financially viable for Air NZ - operating older, two pilot, twin engined aircraft. Yes Air NZ would offer discounts some days, but then sting you $400 if you were stuck and desperately needed to travel last minute. In the end their business model wasn't profitable. At least you always know where you stand with Sounds Air, and you get a fair deal. 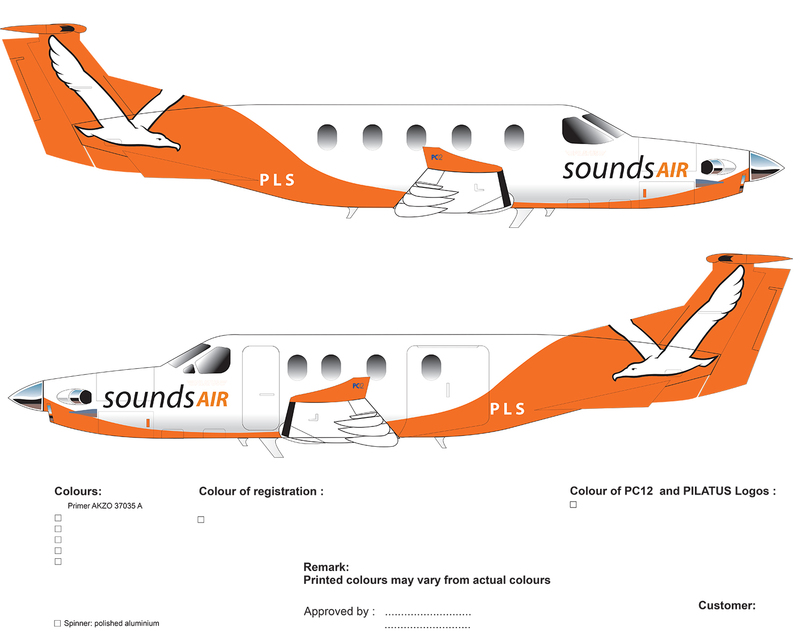 This venture won't be a flash in the pan - the team at Sounds Air will have carefully and thoroughly worked out the long term viability of this route, providing certainty and reliability to the people of Westport. Would be interesting to see if other small regional operators try to compete. This has occurred over the Cook Strait run (Blenheim/Nelson to Wellington/Paraparaumu) with various air services coming and going over the years, and it's Sounds Air, with their reliable, friendly, stable service and consistent air fare structure, that endures. I agree with the above comments, but I too am interested to see in the long term economics of PC-12 operation. From the sounds of things they are buying new PC-12's which for a company their size is a HUGE acquisition cost, given that I don't think any of their C208's have been new ( even the latest one ). Secondly, the PC-12 operating costs are significantly higher. The PC-12 has almost an identical engine to the B1900D ( a -67P, a 1900D is a -67D ), while the obvious efficiencies of having only one are overshadowed by a very low passenger capacity, at just 9. Given the PC-12 will burn more gas, most likely cost more to maintain and carry less pax than a C208 Grand, the CASK surly is much higher. Let's say half the running cost (and that's being VERY generous) of a B1900D with less than half the capacity to earn money (9 seats vs 19). That doesn't even take into account the massive capital cost of a PC12. Good luck to them, but I'm worried they've got arrogant with the success of their 208 ops. Why risk everything on a PC12 operation that will be barely profitable at best? If we read the article posted also posted today, sounds like Sounds Air have negotiated a decent contract that effectively has the council under writing the service (i.e. paying for a minimum number of seats if required). I think the council has more to lose in years to come if vast sums of ratepayer money start flowing into private hands. Sounds Air aren't stupid but the following years will show us if the council has made the correct decision. Sounds Air have signed a deal I think they have very little to lose on. My gut instinct is in coming years, Buller ratepayers will be crying for blood. Will be following with great interest. I'm most curious about the cabin arrangement and work-ability as the Pilatus website doesn't cover much on the commuter layout. First interesting point will be regarding loading baggage through the cargo door on a [very common] wet windy day in both WN and WS, it appears the three most rear seats as well as the baggage area would be likely to get considerably wet. Also the passengers to the rear look to be sitting among the baggage, I must admit these may not be a biggy, just a couple of differences noted that both the pax and operator will find a bit different from there current arrangements.